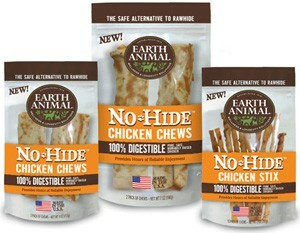 We created the No-Hide™ Chicken Chew—the first chew of its kind made with absolutely NO cow hide or horse hide. Regular rawhides are potentially dangerous and are made with chemicals. 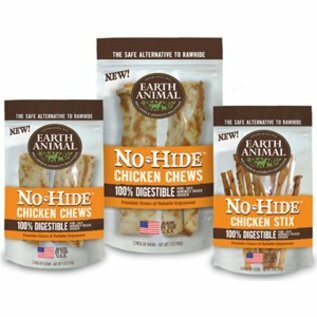 Our No-Hide™ Chicken Chew is a long-lasting, 100% digestible chew, created for your dog's enjoyment and your own peace of mind. 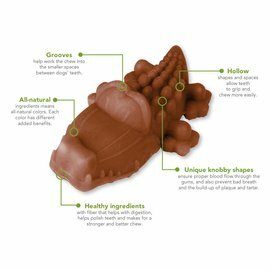 The chicken has been carefully rolled, cooked, and uniquely dried for a one of a kind chew your dog will love!